Sunken panels on the headboard and footboard of this bed gives depth to your bedroom. 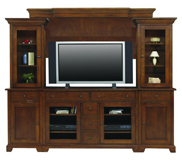 Clean lines and simple frame give a modern appeal to this piece, while the pecan finish offers a soothing allure. Create a luxurious focal point in your master bedroom with this casual chic bed. 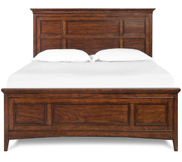 The Grant Park Queen Panel Bed by AAmerica at Conlin's Furniture in the Montana, North Dakota, South Dakota, Minnesota, and Wyoming area. Product availability may vary. Contact us for the most current availability on this product. 3528937 Queen Panel Headboard 1 70" 55"
Drawer / Shelf Construction English dovetailed drawer construction both front and back that gives you unlimited pulls and still remains tight. Finished interior drawers so smooth they protect your most delicate items. Create a casual modern oasis for your master bedroom with this chic collection. A clash between traditional detailing and clean modern lines gives this bedroom set a perfectly balanced transitional design that is easily integrated into any style home. 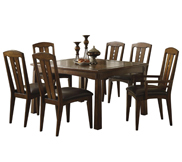 Each piece is constructed from solid alder wood, providing great quality with a lasting look. The pecan finish is warm and inviting just as a bedroom should be. Bronze hardware on all the drawers offers a complimentary tone against the finish and alder wood grain. 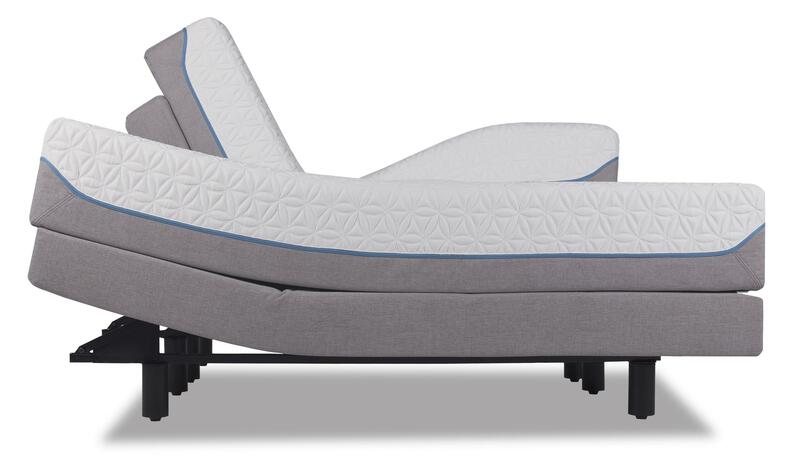 Create the coziest escape with the perfect bed and matching storage pieces from the plethora of options in this group. 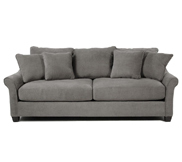 The Grant Park collection is a great option if you are looking for Transitional furniture in the Montana, North Dakota, South Dakota, Minnesota, and Wyoming area. 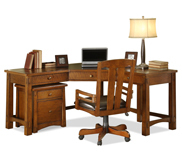 Browse other items in the Grant Park collection from Conlin's Furniture in the Montana, North Dakota, South Dakota, Minnesota, and Wyoming area.